It took months, nay, years, of prayers and hopes, but the functionality is finally here. 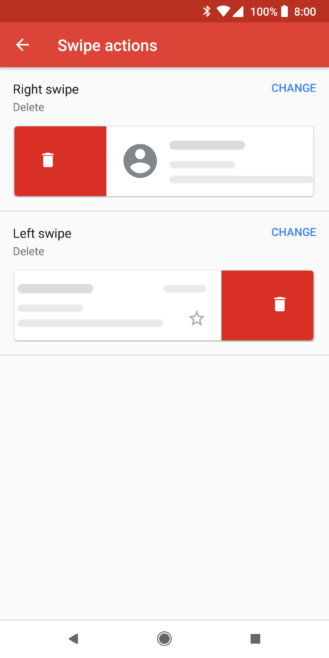 With the latest update to version 8.5.20, Gmail lets you customize your swipe actions so you can choose a different one to perform whether you swipe right or left on an email. 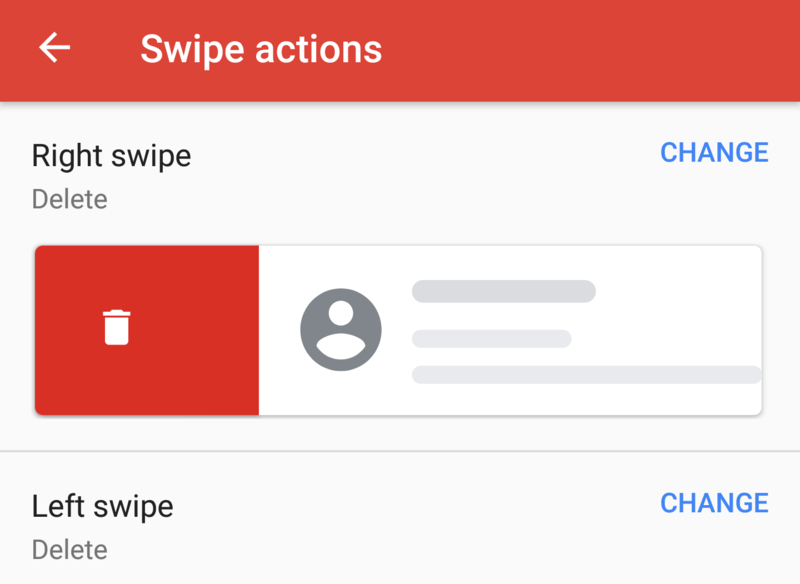 The change was first forecast by our wise APK guru, Cody, who discovered signs of customizable swipe actions in his teardown of Gmail 8.4. 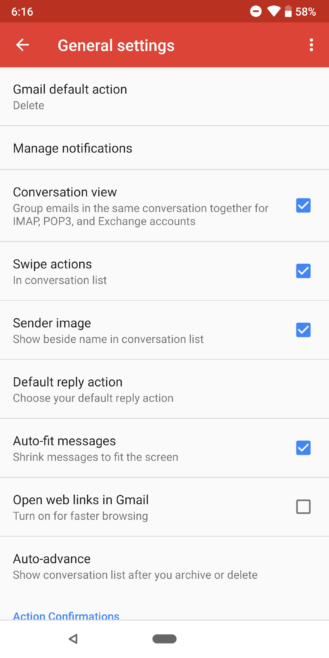 But we had to wait until the latest release to see the feature. The update has been rolling for over a week, so either the functionality was recently enabled via a server-side switch or it has been there all along but we didn't spot it in the past few days. 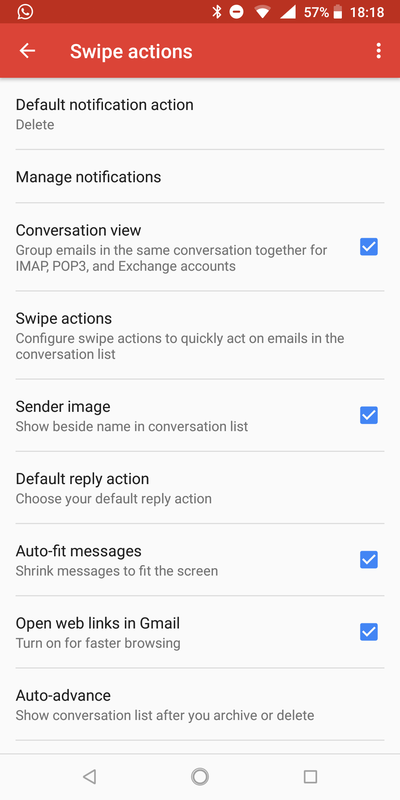 Either way, when you head over to Gmail's general settings, you'll see the Swipe actions checkbox replaced by a menu that opens into a separate page. Tap on it and you get to choose a different action for each swipe direction. 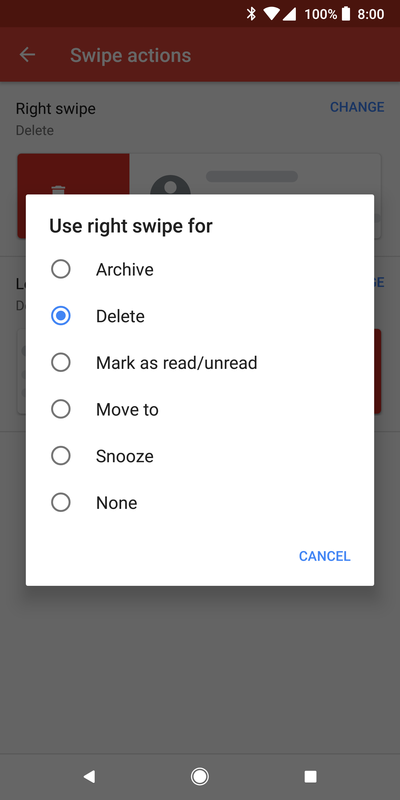 The available options are: Archive, Delete, Mark as read/unread, Move to, Snooze, and None. Pick the ones you want and when you browse any inbox or folder inside Gmail, a simple swipe in each direction will perform your chosen action. Neat. 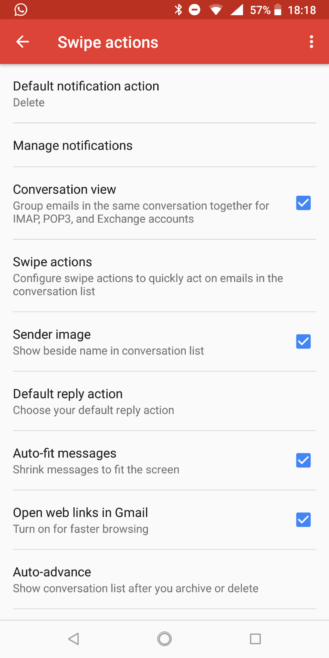 If your Gmail app hasn't updated to the latest version, you can pick up v8.5.20 from APK Mirror.